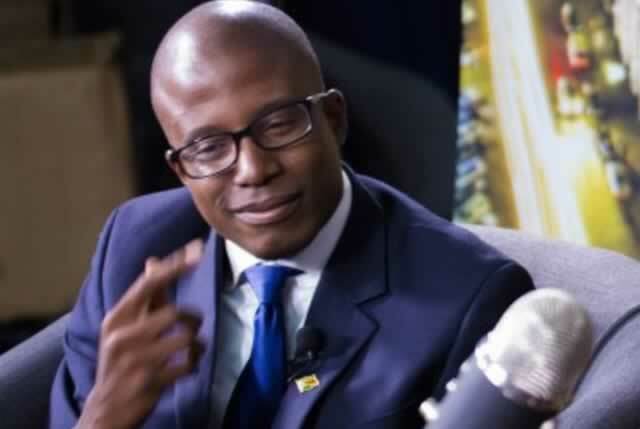 Self-styled communications strategist William Mutumanje has warned that Zimbabwe maybe going to experience more darker times worse than the ones that they just passed through now. Mutumanje also revealed that he is taking his wife and chi9ld outside the country for their own safety. Said Mutumanje: I spent the morning in Caledonia with Bocha farm resettlees. I don't think madhara angu understand their actions are sowing seeds of worse anger in a young generation of banyamulenges. The anger, focus and resilience boiling in these goon squad never seen or tasted mayonnaise boys and girls will present a real problem soon. The only wealth they know is the one from their Prophet and their politicians. Varume chenjerai kudyiwa nezvigure. I am not inciting nor condoning jambanja, I am telling you kuti zvandawona hazvina kundipa kusimba. Craziest part is majority of the people I saw today are very engraved in our lives, they look after our houses, clean and feed our kids, sell us fruits, akomanaka. As a Zanu PF member I am so glad rekeni yakabatwa nema gunners but mmm....inini hangu ndakumbobuditsa mwana naAmai vake munyika muno. Meanwhile Gokwe Nembudziya Member of Parliament Justice Wadyajena has revealed that there is a plot by an anti-Mnangagwa cabal in ZANU PF to impeach the President. He, however, said the plot will fail because they do not have numbers. Responding to Wadyajena Professor Jonathan Moyo said,"When an insider with vested political and nepotistic interests in the incumbent declares that a coup plot has failed when key others are mum, take it with bags of salt. It's not over until it's over. Recall my Zete Moment the night of 13 Nov 2017 when I knew a coup was under way?"